"Rogue Pulse / Gravity Collapse" is an artist edition release, produced by RATSKIN RECORDS imprint in direct response to the rapidly worsening, violent, political and philosophical conditions in our current state. All proceeds both physical and digital from all sales of "Rogue Pulse / Gravity Collapse" will be split between BLACK LIVES MATTER national chapter Bail Fund, THE OAKLAND IMMEDIATE FIRE RELIEF FUND, and ST. JAMES INFIRMARY in San Francisco, CA. 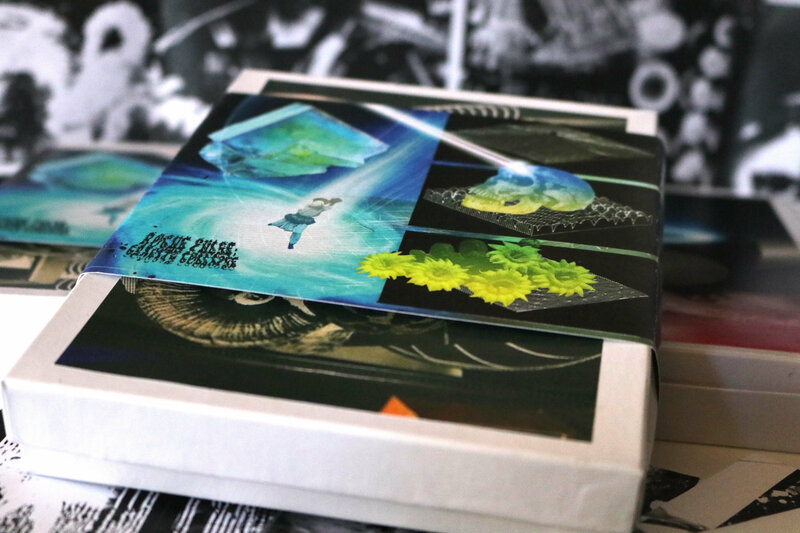 "Rogue Pulse / Gravity Collapse" comes in the form of a ten (10) CD boxset, accompanied by a booklet, one off artist prints, and other media. A digital download will be included with the physical copy, which includes high quality images and scans of all media. 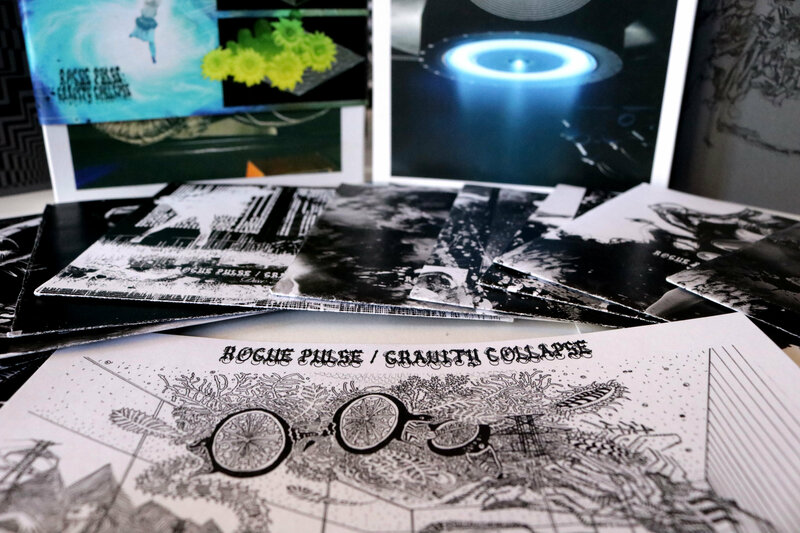 The dense, physical housing of "Rogue Pulse / Gravity Collapse" opens to reveal twelve hours of esoteric sound from international producers, sound artists, bands, and activists working in every idiom from noise, electro, trap, experimental electronics, and industrial to esoteric metal, synthwave, musique concrète, field recordings, indigenous synthpunk, and as yet unnamed electronic styles. With few exceptions, all compositions were produced specifically for this document in a three month window of 2017. 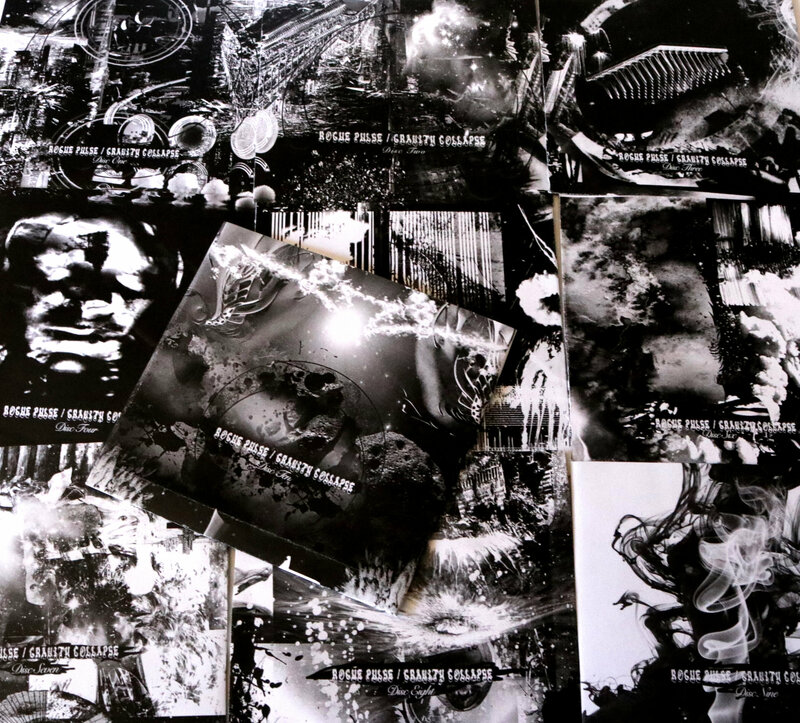 This boxset serves as a vast document of contemporary sound artists pushing all limits to develop new strategies of time space intra-action for community solidarity and resistance. It is a dialogue within an alternative nexus of artists and audiences who strive to bridge gaps between art, labor, and love towards achieving sustainable modes of resistance, resourcing, networking and solidarity. 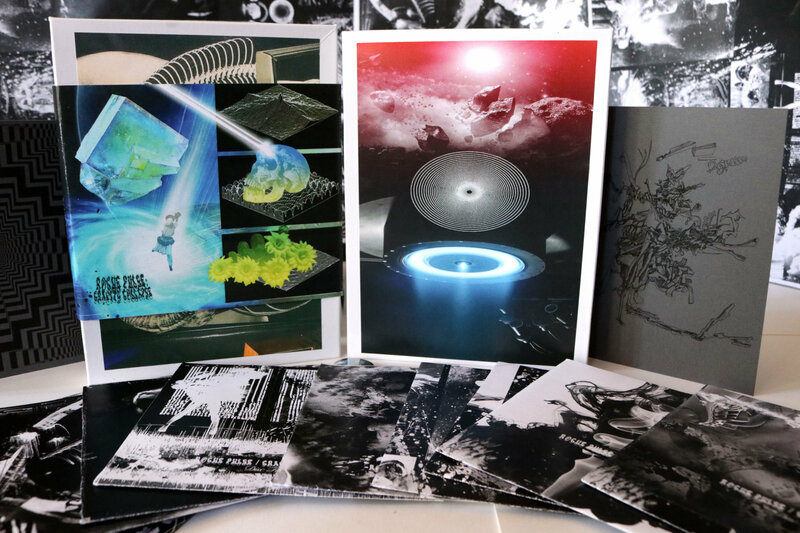 "Rogue Pulse / Gravity Collapse" is limited to an edition of 300 signed and numbered physical editions as well as 50 signed and numbered pre-order editions with bonus material.